LOVE! LOVE! JUST LIKE MOB! This series need 2nd season. Too bad the animators can't produce art like this. Bravo! I imagine all of the singers in the opening run away after "99----........"
MOVE! MOVE! 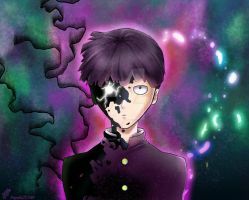 JUST LIKE MOB!